I have a friend in Eastern DR Congo who is called Amani. In swahili this means “Peace”. The name we carry can mean a lot in our lives. We probably hear that word more than any other word. In many cultures then name has been given for the purpose of their lives and will/should direct the person in their lives. With Amani it is really so. He lives peace and reconciliation, creating projects and connections between people. Even though his father and mother were killed by Rwandan soldiers he never nurtured thoughts of revenge towards the people in the neighbor country. The other way around. 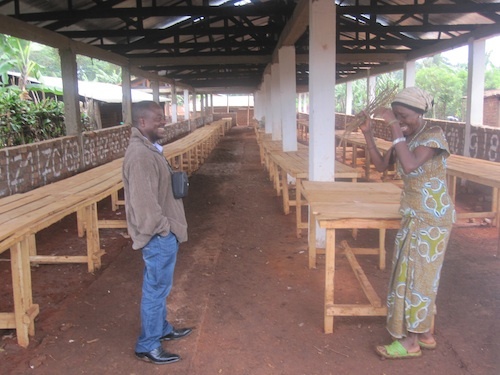 He has this last year created a Peace Market in Mumosho, the community where he comes from just on the border between Rwanda and DRC, overlooking the border river Rusizi and the westernmost hills of Rwanda. 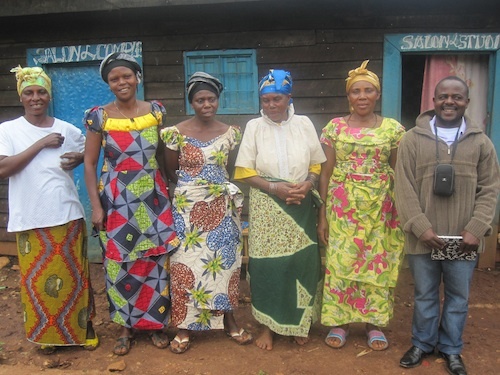 Amani Matabaro has created a Peace Market at the border between Rwanda and DR Congo to make people meet and reconcile. There used to be a lot of trading across the border before the genocide in 1994 and the following conflicts and violence. 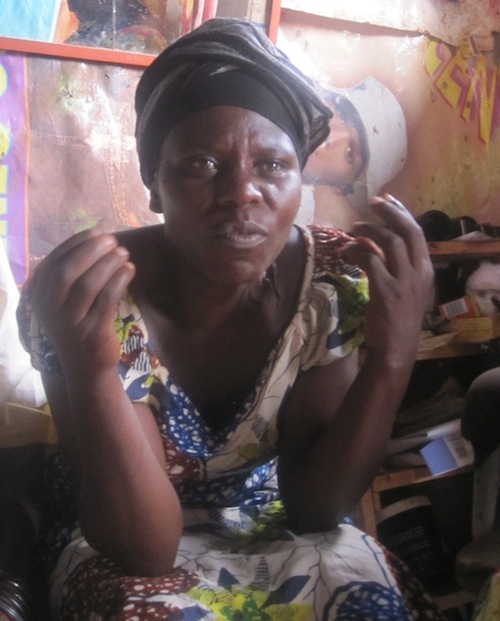 Amanis mother used to walk over to rwanda to buy kerosene and sell it in DR Congo. So he got the idea to re-establish the trading by creating this Peace Market and make people communicate across the border again. He presented the idea to different people and finally Rotary clubs in the US and elsewhere funded the project through the consistent work of our dear Trauma Tapping colleague, Psychologist Victoria Bentley from Santa Barbara in California (Pls check “Mumosho Market” on facebook). Peaceful Heart Network and Amani is now adding another component to this project: the Peace Tappers. The plan is to establish a Trauma Tapping clinic in Mumosho that will give access to people in Mumosho and the area around to get healed from their traumas of violence in the area. We already conducted one training with five women and one man. “ I understand that this tapping is a true medicine. I have already showed it to many. They first find it to be a joke, but then they get surprised how much it helps. We are all living troubled lives. We need this technique. The first group of Peace Tappers in Mumosho.